All flutes machined from solid rod stock. Five sections plus tuning slide. Conical bore on last three sections. 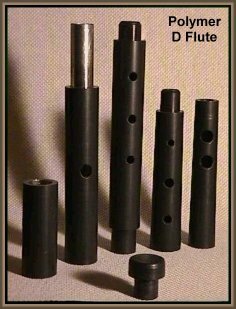 Flutes in key of D, Eb, and F.
Wood and keyed flutes also available. Be sure to check out our new Rudall and Rose model D flute. And also our new whistles.